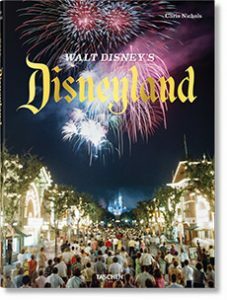 An art book from Taschen publishing, “Walt Disney’s Disneyland” by Chris Nichols, explores the visual history of the park’s inception. 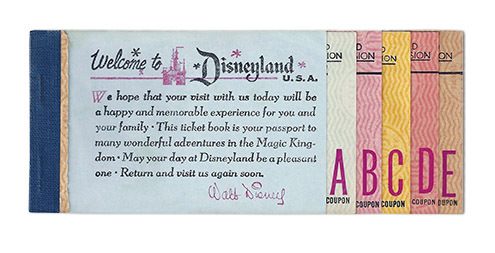 The ticket book was full of coupons for various attractions. 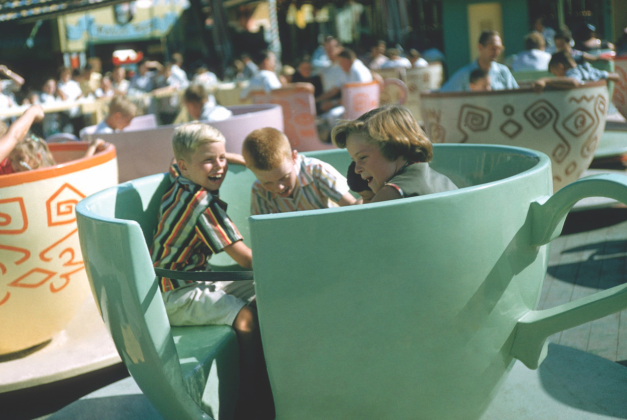 The booklets were eliminated in 1982, but many people still refer to E-ticket rides to mean thrill rides. 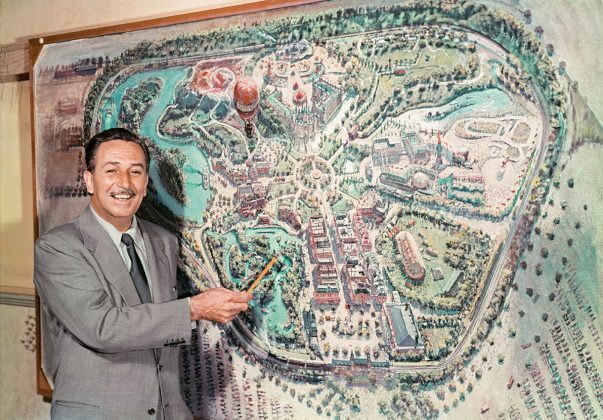 The park created by Walt Disney has become such an integral part of our lives, such a piece of Americana, that we forget those original 160 acres in Anaheim were once just another orange grove. 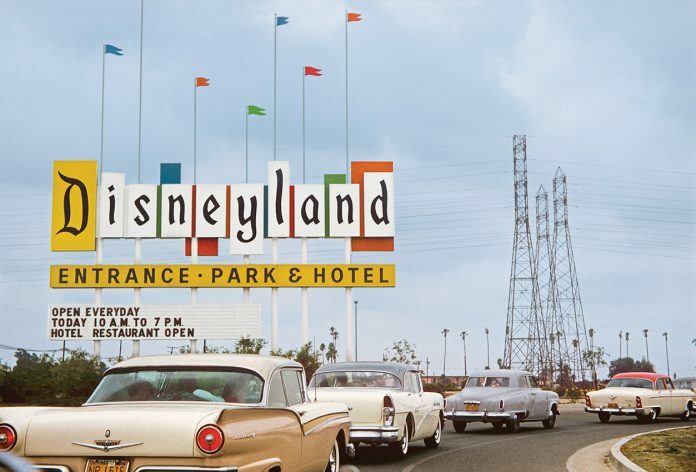 Disneyland, as we know it, could only have happened in the time and place that it did. During the mid-1950s, America was in the midst of a baby boom, Southern California was an ideal climate for a year-round outdoor attraction, and Los Angeles was teeming with movie artists and engineers who were building new lives in a postwar suburban utopia. More important, it was the place Walt Disney, the world’s most famous film and animation producer, called home. 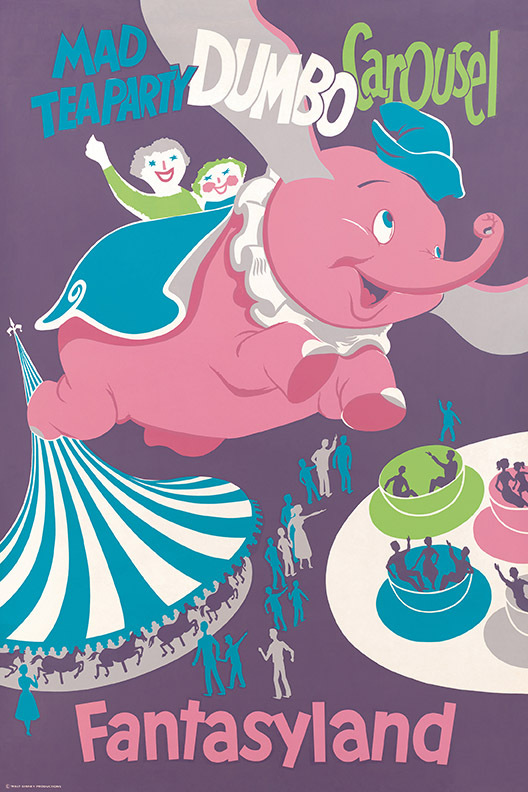 Although many have tried, no park has had the lasting or far-reaching impact of Disneyland. 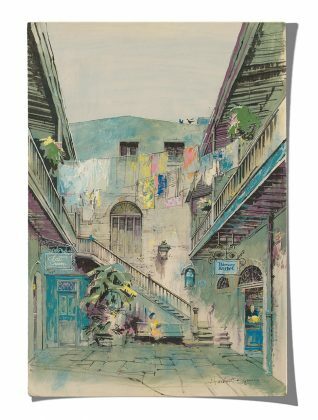 From the very beginning, its themes have been so carefully crafted that it feels like a real place—part idealized past and part conceivable future, tinged with a romanticized exoticism. Forced perspective was used to make the buildings of Main Street, U.S.A., appear taller in 1955 concept art. Building the upper levels at a progressively smaller scale than the ground level creates the effect. Walt Disney went on television in 1954 to introduce his park. 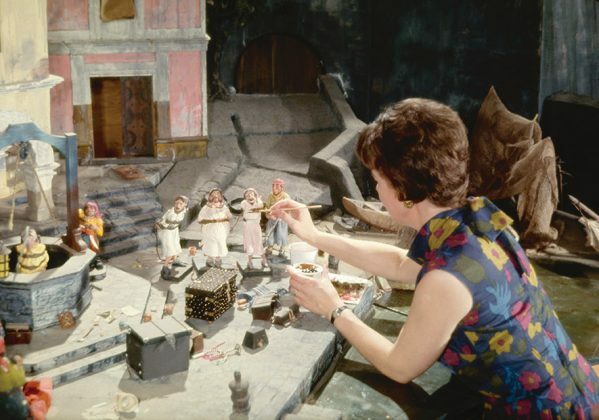 One of the original members of the WED Model Shop, Harriet Burns, helped construct the scale models for Pirates of the Caribbean so that Walt could study every detail from the point of view of guests riding the finished attraction. 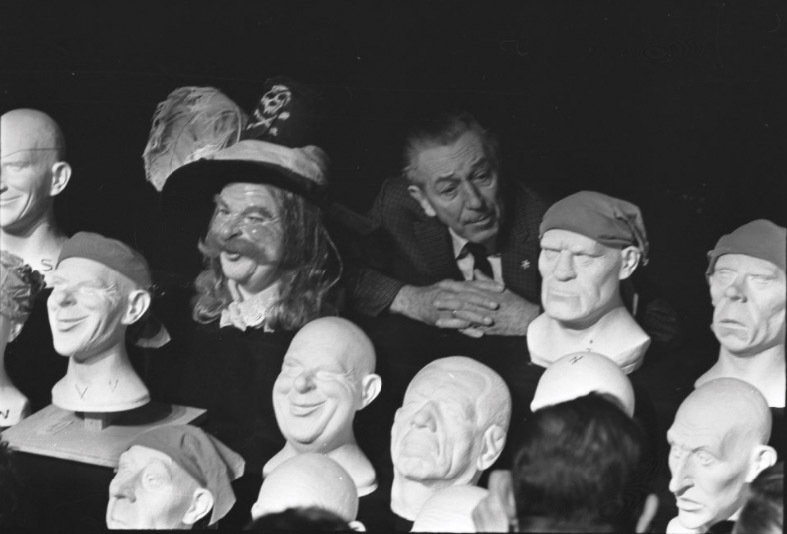 Three months before the Pirates of the Caribbean opening, the crew lost its captain when Walt Disney passed away in December of 1966. Although Walt never experienced the finished attraction, it represents the last addition to Disneyland he oversaw. 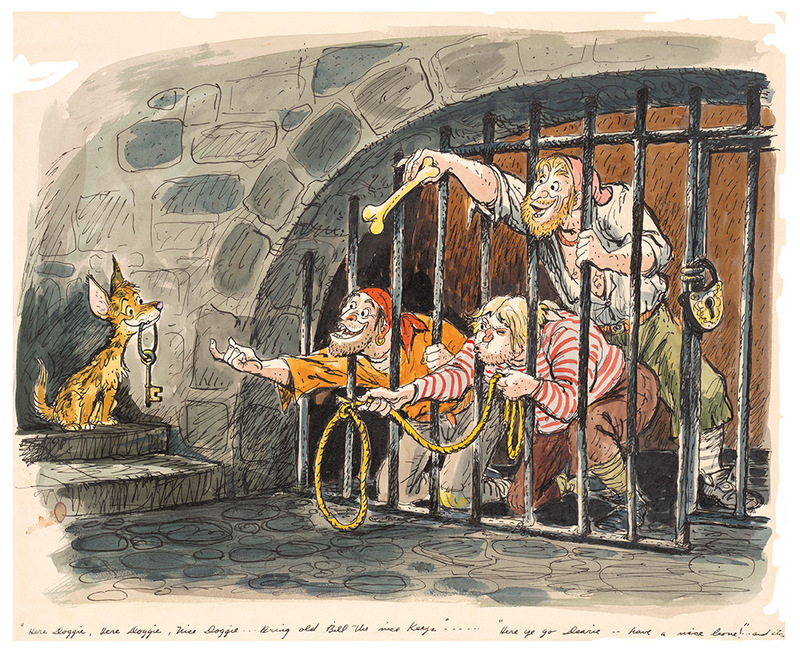 Marc Davis’ humorous concept scenes informed the design and animation of the figures that performed in show designer Claude Coats’ rich environments. 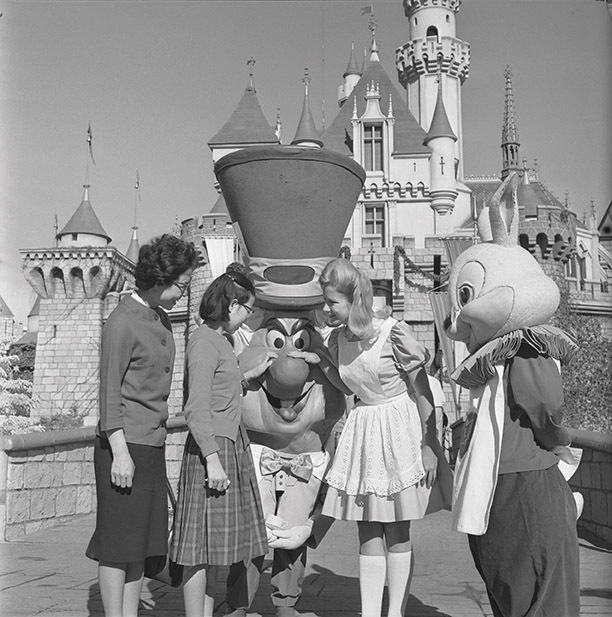 Their tactful balance of comical vignettes and grim scenarios was later masterfully repeated in their collaboration on the Haunted Mansion. 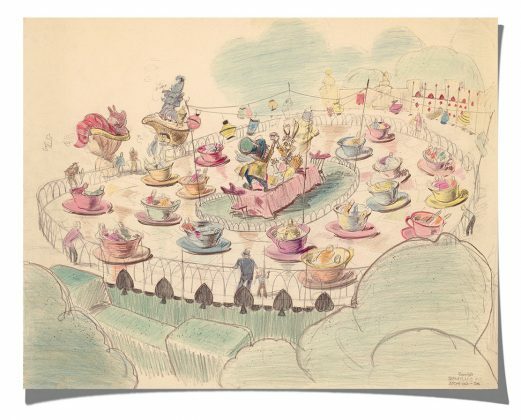 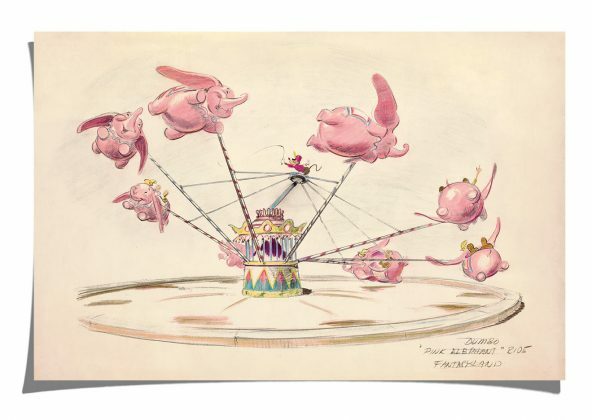 Early drawings by Bruce Bushman of the Mad Tea Party, which was inspired by a scene in the 1951 film “Alice in Wonderland,” show the different features that didn’t make the final attraction—from an actual teapot to the Mad Hatter himself. 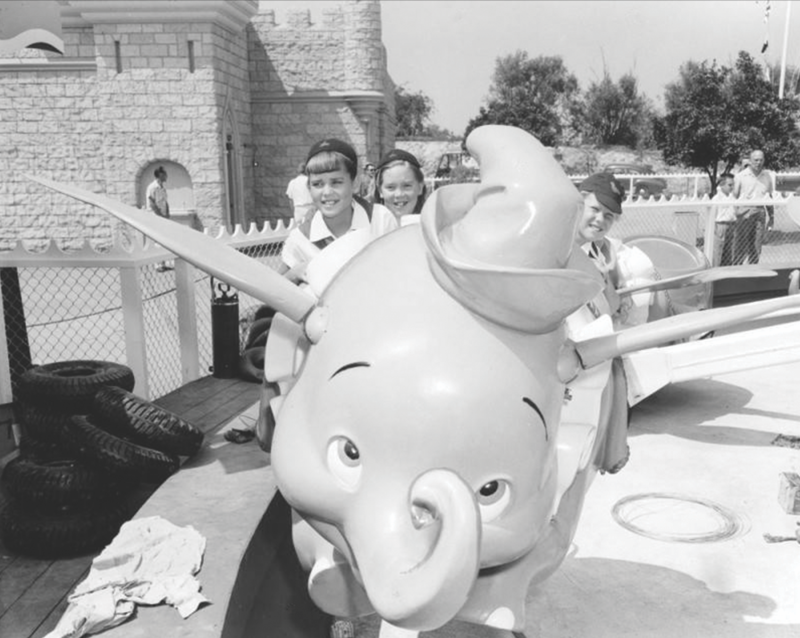 Bushman’s early involvement in the design of Fantasyland contributed greatly to the look and feel of the finished attractions.